One morning, while taking walking behind the robot and dragging a sled of equipment for quantitatively measuring the strength and cohesion of the snow underfoot, we realized what fools we were to man-haul the equipment ourselves. And, for that matter, how silly even to walk. So, we hooked the sled to the robot and went for a ride. The robot, it turns out, can haul its own weight (nearly 200 lbs.) on a sled and hardly notice it…Snow surfing behind the robot is not very exciting however; it only travels at a slow walking pace. I keep hearing wonderful reviews of a production called â€œRainâ€ and the Cirque Ã‰loise troop. Ã‰loise is based in Montreal, which is also the birthplace of the much larger Cirque du Soleil, giving the island city the distinction of creating two of the most theatrical circus companies in the world. But while Soleil performs in grand ballrooms in Las Vegas and huge show spaces elsewhere, Cirque Ã‰loise prefers the intimacy of smaller spaces, having traded the big tent for the theatre. â€œRainâ€ is the second piece of a trilogy of pieces created for Cirque Ã‰loise by Daniele Finzi Pasca, an Italian innovator who has also worked recently with Cirque du Soleil. The show is built around nostalgia for childhood memories â€“ the simple concept of not having enough sense to come in out of the rain â€“ and each of the astounding feats of strength or agility is linked somehow to a story beyond the act, resulting in perhaps the most mystical, magical and marvelous performance youâ€™ll see this or any other year. By “shortest”, I mean the tumbler who can do the most difficult in the least distance. Kyle Shewfelt won the Olympics partly because he was the guy who could do 4 big tricks on a diagonal without going out-of-bounds. But Kyle’s got nothing on this guy. You won’t believe what former cheerleader and tumbler Terrance Harrison can do. This is another of the jaw dropping videos posted by Don (saltocafe) from Woodward West Camp in California. Click PLAY or watch some crazy Terrence tumbling on YouTube. We’re big fans of the photo host â€” flickr.com â€” the best social networking site of all. You connect to others who have similar interests by finding their photos. You can even join “groups” like the “Gymnastics Group“. Someday all photos will be geotagged as they are date stamped today. Flickr already has that function though you normally need to geotag your own photos. USA Diving does some great things. Yet when I attended American Championships in Indianapolis 2006 I was disappointed in how the competition was presented. USA Gymnastics Championships in St. Paul 2006, in comparison, was far more spectacular, far better marketed. This puzzles me. Diving should be a much bigger sport in the States. … download the USA Diving 2006-07 Communicator and the 2006-07 USA Diving Screensaver. With the USA Diving Communicator you will always be one “click” away from the latest news and information from your USA Diving Team. With the USA Diving screensaver your screen will come alive with full-screen USA Diving Team action images. 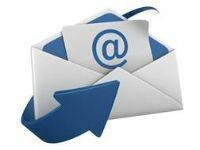 The Communicator provides important breaking news, an RSS feed, countdown to Beijing timer and more. Full-time womenâ€™s certified coach needed â€” Clarington Gymnastics Academy, Bowmanville, Ontario, Canada. This club is owned and operated by Christine Ormerod. The future of gymnastics coaching is video. There is no shortage of good stuff on the internet, but finding exactly what you want is difficult. Daryl Johnston edits a site with plenty of artistic gymnastics content. He even tries to post entire competitions as a series of YouTube clips. This page has videos containing the whole coverage of a meet. I dont think any site on the net has a page like this so it’s very special. … These videos are mixed together mens and womens! Have you seen the new James Bond film, Casino Royale? SÃ©bastien Foucan is the founder of free running. Additionally, he has had influences on the art of parkour and is generally considered to be a “second generation” founder of parkour (second to David Belle). He is well known as an ambassador for free running to many countries and is generally considered to represent free running. Well known for his views on the philosophy behind free running, he also stresses the need for proper training in the basics of free running, not only for safety, but also to maintain the positive appearance of the activity in the public eye. 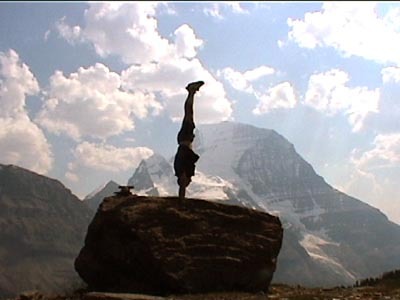 handstand – Mt. Robson, B.C. Website editor Rick McCharles in the Canadian Rockies. Posted on April 7, 2007 Categories UncategorizedLeave a comment on handstand – Mt. Robson, B.C.